The challenge now has become full integration of technology with the insurance experience of customers. When Manulife launched claimsimple.hk in January, it finally abandoned a decades-long complex legacy system filled with paper claims and branch visits. More than that, it also launched a programme that tracks client fitness and rewards them with huge discounts and promos. Insurers in Hong Kong are finally learning to deal their digital cards right, with some of the city’s best insurtechs keeping them close company. Early this year, insurers such as MetLife, AIA, Allianz, and Zurich announced some of their insurtech plans after the Hong Kong Insurance Authority rolled out a sandbox for insurers to flexibly partner with tech guys. Guy Mills, chief executive officer, Manulife Hong Kong said that with insurtech, some products such as health insurance as well as mutual funds can actually be sold online. He said that Hong Kong consumers have an increased awareness towards health and strong demand for medical insurance and critical illness products, as a result of significant medical inflation, advances in medical technology, and the underserved health market. This provides insurers with open doors to provide sophisticated medical insurance for the entire population. Furthermore, with a rapidly ageing population and a significant retirement income gap, Hong Kong is a hotbed for customers who wish to improve their quality of life during retirement, which provides huge growth opportunities for insurers. Across the globe, the insurance industry has been one of the laggards in terms of riding the digital wave. Complex legacy systems, company culture, and various tolerances for risk have made it difficult for innovators to integrate new technology and data into existing business strategies. Lee Wood, chief executive officer, MetLife Hong Kong said that the top priority to overcome these challenges is to encourage staff and agents to adapt and modernise, and support insurtech innovations. Despite being a latecomer, the insurance industry has finally come to grips with the need to evolve with rapidly changing technologies. Consumers of all other sectors have already immersed themselves in the digital space, and if insurers wish to capture this huge digital market, they have to get their foot in as well. “The insurance industry is increasingly leveraging connected technologies to improve customer experience and build deeper relationships with customers. New tools and platforms are driving deeper engagement and enhancing efficiency – for example, connecting insurance plans with digital tools or health apps to encourage better self-disciplined health management,” Wood added. Mark Christal, head of region in Northeast Asia, and chief executive officer, Old Mutual International, Hong Kong, said that digitalisation has definitely helped streamline processes and give customers greater access to their finances amidst their increased expectations. He added that this has become a key part of the value proposition that insurance companies and advisers offer their customers, presenting a greater opportunity for them to develop deeper and longer relationships with customers. Christal said that digitalisation for insurance not only means robo- services, but also complex financial planning for evolving customer demographics. According to him, insurers are seeing more highly mobile individuals with different assets across countries and requiring professional advice on holistic wealth, tax, and legacy planning. But whilst digitalisation offers several opportunities, it also poses new challenges for insurers. According to Wood, more than five years ago, the industry was focused on simply moving offline engagement online. Nowadays, the challenge has become full integration of technology with the insurance experience to deeply engage with customers and provide what they need. He said that insurers are not only giving consumers one more channel to buy insurance, but providing a new experience that was unavailable to them before. Mills added that the growth of insurtech will have a long-lasting impact on the insurance landscape. Insurance companies must have a way of productively and strategically collaborating with insurtech companies, lest they trail behind again in the digital game. The challenges that insurtechs pose have encouraged more and more insurers in the city to leverage new technology, data, and analytics and to engage with customers digitally. “A key challenge for the sector as a whole is to continue to meet customer expectations whilst adhering to the regulatory challenges posed. This is perhaps why digital transformation in the financial industry is, relatively speaking, less advanced than other sectors. Having said that, we believe leveraging technology to engage customers is absolutely critical to the future success of the sector,” Christal said. Additionally, increasing regulations around the world have made wealth planning more complex. Christal said that independent financial advice has become more important than ever in providing better customer outcomes. To play the digital game well, insurers in Hong Kong have learned to make insurtechs their allies in coming up with personalised and accessible insurance solutions. For instance, Manulife launched its ManulifeMOVE programme in Hong Kong, one of the firsts to integrate an innovative health-tracking programme with insurance solution that rewards customers who maintain active lifestyles with discounted premiums. 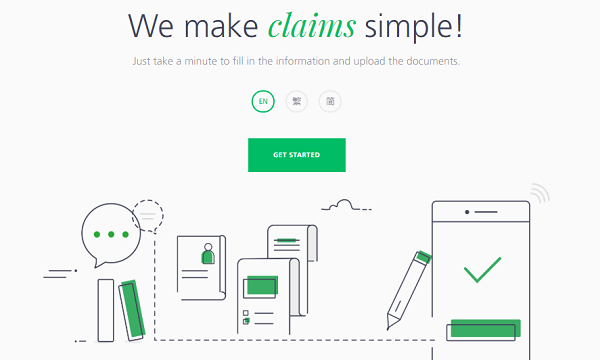 In January 2018, Manulife launched claimsimple.hk, an e-claims solution that lets customers make a medical insurance claim online anytime, anywhere via their mobile device or PC in less than a minute. Meanwhile, Old Mutual International rolled out Wealth Interactive, an online platform to keep track of investment performance no matter where consumers are, whenever they need it. Christal said that it is not only an online servicing platform, but a channel for distributors to provide better service to their customers. “Alongside greater customer access, it allows advisers to leverage technology and tools to manage customers’ portfolios whilst remaining close to them. Wealth Interactive also provides data to support client segmentation, so advisers can ensure a consistent and structured approach to servicing clients,” Christal added. In terms of insurance education, MetLife Hong Kong’s MetLife Discovery allows a quick and easy access to information about insurance Woodand the specific terms of insurance coverage that a certain demographic is considering. Information includes money that consumers should expect to spend and general price indicators for the cost of such a coverage. Wood said that four changes are likely to further transform the insurance market in the future: digital transformation, the importance of a trusted advisor, increasing health consciousness, and transparency and trustworthiness. According to him, insurance will be enormously different in the future, and data analysis will revolutionise how insurers meet their customers’ changing needs. He added that the ability to mine big data for deep insights has radically altered the dynamics of how one becomes “the trusted advisor”. “The regulatory and consumer demand for greater transparency will continue to shape the services the sector offers. The landscape for giving advice internationally is changing and as more advisers are moving towards clear, transparent, customer centric charging models, the need for advisers to demonstrate the value they are adding is becoming increasingly important. Advisers can utilise technology to increase customer engagement and understanding, and to share information efficiently and effectively,” Christal added. At the end of the day, customer centricity is key. Mills said that the demand for a better customer experience will continue to drive technology change in the next few years, with all sorts of information available at their fingertips.